Shopping is easily one of America’s favorite pastimes. People work hard to earn their money and they should be allowed to spend it fairly on all of the products and brands they love the most. 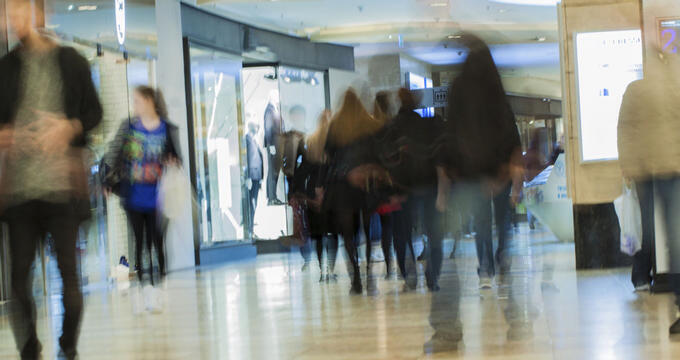 In modern times, shopping has never been so varied and exciting, with countless malls, stores, and locations in every single state around the United States. When the vast majority of people go shopping for new products like clothes and jewelry, they want to turn to the brands they trust the most. These world-famous names are known for making the finest items that are truly worthy of their price tags, but those price tags can be slightly high from time to time. This is where outlet malls come into play. Outlet malls offer major discounts and promotional deals on branded goods, letting you buy items that would normally be quite expensive for a fraction of their usual cost. Outlet malls have become hugely popular all around the United States and tend to be the number one shopping hotspots for many Americans and foreign visitors to the nation. With dozens of stores and huge lists of featured brands at each location, these malls are a great place to spend a day, often also coming equipped with food courts and entertainment areas to ensure that the whole family has fun. Coupons and membership deals can also be enjoyed at many outlet malls, giving you even better prices on the goods you want. Every state around the United States has a bunch of different outlet mall locations to enjoy and Wisconsin is no different. All around the state, both to the east and the west, awesome outlet malls are just waiting to be explored, featuring hundreds of different stores in total and unbeatable discounts on the best brands from both America and abroad. With a friendly, welcoming atmosphere, super staff, and a massive range of outlet stores to choose from, Pleasant Prairie Premium Outlets is one of the top rated and most popular outlet malls in all of Wisconsin. There's a lot to love about this location, starting with its super location, not far from the shores of Lake Michigan. Part of the Simon Center chain of outlet malls, Pleasant Prairie boasts over 90 stores in total, each offering savings of up to 65% when compared to regular retail prices. Some of the top names include Kate Spade, Eddie Bauer, Pandora, Nike, and Calvin Klein. Another member of the Simon Center family of outlet malls, which can be found in dozens of locations all around the United States and are well-known for offering super service, the Johnson Creek Premium Outlets are open all day long and provide some super shopping opportunities for people of all ages and interests. Sports fans can check out brands like Adidas, Nike, and Under Armour, while those interested in more elegant attire can take a look at Polo Ralph Lauren and dozens of other top American and European brands. 60 individual outlet stores can be found at this location, which is nicely laid out and easy to navigate. Located in a central position in the state of Wisconsin, the Outlets at The Dells provide a fun way to spend a day, with mega savings on big name products including more than fifty different brands in total. Plenty of restaurants and eateries can be found just nearby, and there are lots of attractions in the area too, giving the Outlets at The Dells one of the best locations in all of Wisconsin. Exciting sales are always happening here with big brands like Banana Republic, Adidas, Levi's, Old Navy, Nike, Michael Kors, Skechers, and more. One of the most well-known outlet chains in the whole United States, the Outlet Shoppes also runs a mall in the Oshkosh area of Wisconsin. Nicely located for many major cities throughout the state, this outlet store complex is highly popular all year long, especially during major sales events like Black Friday or Labor Day Weekend. Visit the Outlet Shoppes at Oshkosh to enjoy big discounts of up to 65% on products from brands like Coach, Old Navy, Van Heusen, Yankee Candle, Tommy Hilfiger, Gap, Fox, Famous Footwear, and dozens more.